Fleas are one of the most common parasites in and around the home. They can infest themselves in your carpet or baseboards, and will feed themselves on your pets. A flea infestation on dogs can cause additional rashes and infections, so it is important to kill the fleas and use proper flea prevention. They also tend to bite around the ankles on humans, and their bites can cause serious itching. Fleas require a long process of treatment because they have phases of their life cycle in which they are immune to treatment. Give your dog a thorough flea bath. There are many products available at pet stores or veterinary clinics that will kill all of the fleas on your dog and provide additional prevention for some time after the bath. Flea baths can be done in the home, or you can take your dog to a professional pet groomer or veterinarian for a flea bath or flea dip. Apply a topical flea prevention treatment on your dog. As long as your dog is at least 8 weeks of age, a topical flea treatment is the best option for flea treatment and prevention. Commercial products such as Frontline or Advantage can be obtained at a pet store or veterinarian, and require treatment every four weeks. Administer a flea killing oral medication. Medication such as Capstar can be given orally and will kill all fleas that are currently infesting your dog. This pill is administered once a day and will generally kill fleas on your dog within 30 minutes. Medication such as Capstar are generally given by a veterinarian and are used in extreme cases of flea infestation. Flea comb your dog regularly. A flea comb can be purchased at a pet store and can be used to pull any living fleas from your dog. Be sure to soak the comb in hot soapy water after combing your dog to ensure the fleas are killed and cannot re-infest your animal or your home. Call an exterminator. Exterminators are professionally trained and supplied with the exact industrial-strength insecticide needed to kill fleas. They can use a flea spray or flea bomb and treat your entire house and surrounding yard in less than a half hour. Flea extermination will kill all living fleas and any new hatching fleas for weeks to months after the treatment. Vacuum your house daily. Fleas generally will lay their eggs and hatch inside couches, in beds, or in carpet or floorboards. 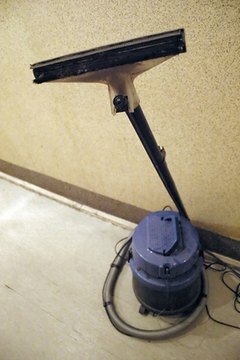 It is important to not only vacuum your house daily to pick up any newly hatched eggs or grown fleas, but also to empty the vacuum after each time you use it. Vacuuming regularly will speed up the removal of fleas in your house. Wash all linens in the house with hot water. Fleas cannot tolerate hot water. Therefore, any fleas that are living on your blankets or bedsheets will die with soapy hot water. 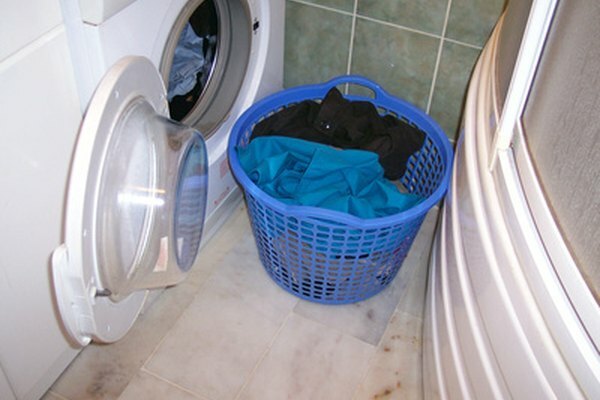 Wash the linens in the washing machine with strong soap and hot water. Follow up by completely drying the linens in a dryer. This should be done regularly to kill any fleas and eggs that may have hatched. Use lavender-scented products in your home. Lavender is a natural flea repellent and can be used in the house to prevent and chase off any infesting fleas. Candles, fabric detergent, fabric softener, body wash and lotions are available in a lavender scent. You can also purchase lavender oil, which can be mixed into any product to add a lavender scent. Do not give your dog a bath within three days of applying topical flea prevention. Rodents and pests such as possums, raccoons or rats can be major causes for flea infestation. If you do not see freedom from fleas within three months after having an exterminator treat your house, consider having them out for a second treatment. If your dog seems listless or has open sores from the fleas, take your dog to a veterinarian immediately.